Property 51: Beautiful recently renovated condo just 1 min. from Jackson Ave.
NEW TO THE RENTAL MARKET! Very close to the Ole Miss Campus and restaurants. Property 53: NEW TO THE RENTAL MARKET! Very close to the Ole Miss Campus and restaurants. Property 54: One bed, one bath apartment located on The Square! Ole Miss and Oxford, Mississippi should be on your Bucket List. Property 55: Ole Miss and Oxford, Mississippi should be on your Bucket List. Property 57: Walk to the games & stroll to The Grove! Location perfect for football, baseball and basketball. Short stroll to each!!!! Property 59: Location perfect for football, baseball and basketball. Short stroll to each!!!! Enjoy A Great Getaway In Oxford! Property 61: Enjoy A Great Getaway In Oxford! Mister Ed's Oxford Place 2BR/2.5 BA Condo--Booking Ole Miss Baseball Season Now! Property 66: Mister Ed's Oxford Place 2BR/2.5 BA Condo--Booking Ole Miss Baseball Season Now! Property 68: 3 BR/2.5 BA Condo, TWO (2) OLE MISS FOOTBALL TICKETS and PARKING PASS!! Property 74: Included in the main Purser House but privacy enjoyed. Property 80: 2bd/2b Fully Furnished Rental Condo! Property 84: Big 1BR/1BA w/i 5 miles of Grove-Comfy and Affordable! 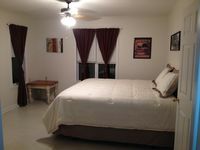 Beautiful, quiet and clean home near Campus & the Square! Property 85: Beautiful, quiet and clean home near Campus & the Square! Construction just completed and brand new 4 bedroom 4 1/2 bath condo! 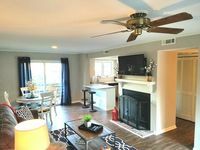 Property 86: Construction just completed and brand new 4 bedroom 4 1/2 bath condo! Property 88: Luxe Condo On The Square--Across From The Graduate Hotel And Coop Rooftop! Property 90: COZY, CLEAN AND CLOSE TO CAMPUS! Property 92: Relax With A Great View Of The Country Club Of Oxford. Property 93: Oxford's newest Luxury condo development only minutes from campus!